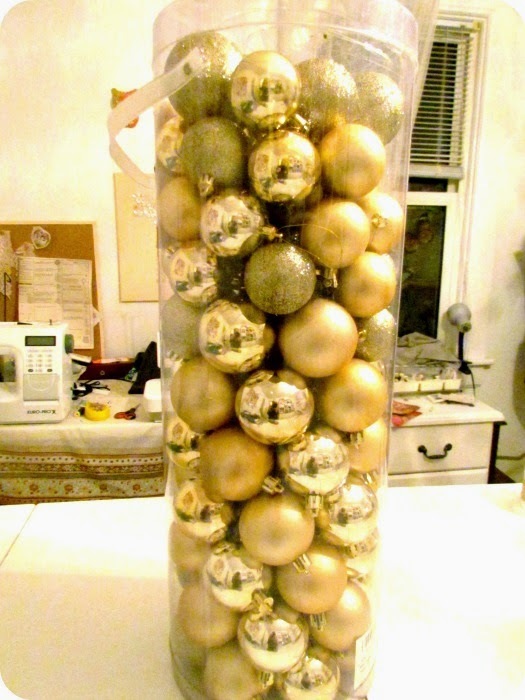 I pulled out this big container of 100 coordinating Christmas balls that I bought at a Boxing Day sale a few years ago. I really didn't need to buy more Christmas decorations but they were on super duper sale so I couldn't resist. Then I followed the tutorial I pinned ages ago from Upside Down Grace. This project is beyond easy and can be finished while watching TV. I added a little cheap greenery underneath and some tea lights behind and now it has a sort of magical glow. Right now I've also got my Christmas Luminaries up on each side but I'll probably add a banner and few more bits and bobs from now until December. 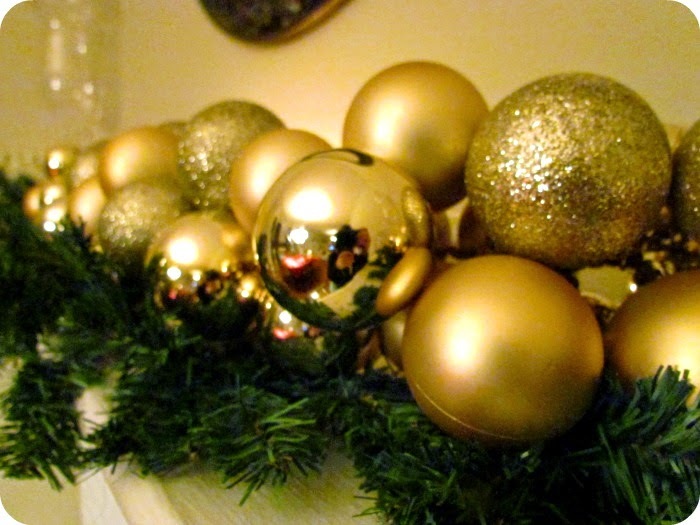 Beautiful swag of gold ornaments for your mantel. yes, I would have thought 100 would be longer. It looks really nice so far! It always amazes me how so many ornaments (or whatever else you may be working with) will NOT go very far! It looks great on the mantle though. Thank you for being with Make It Monday this week. 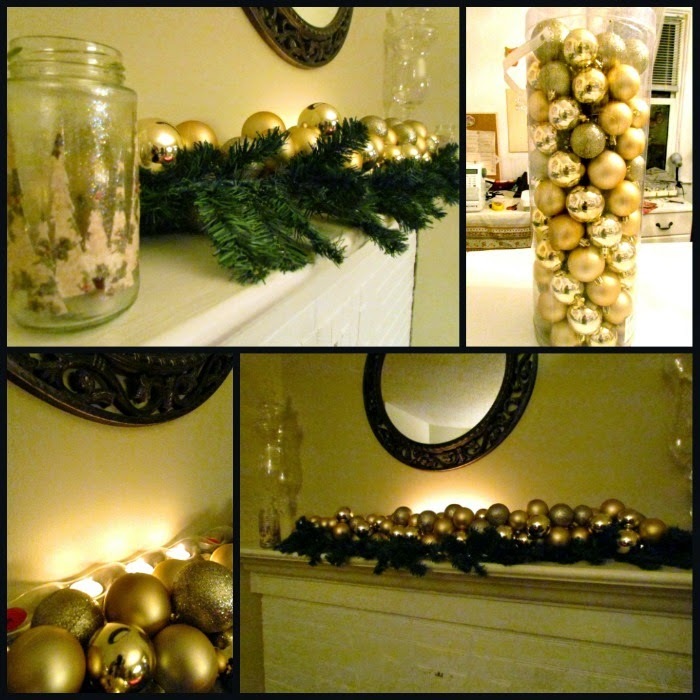 Love that garland. 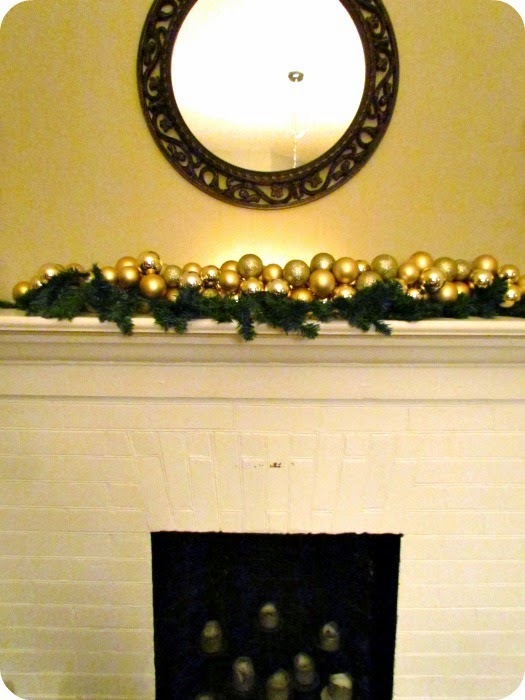 Your garland is just lovely on your mantel!! Great job!! !